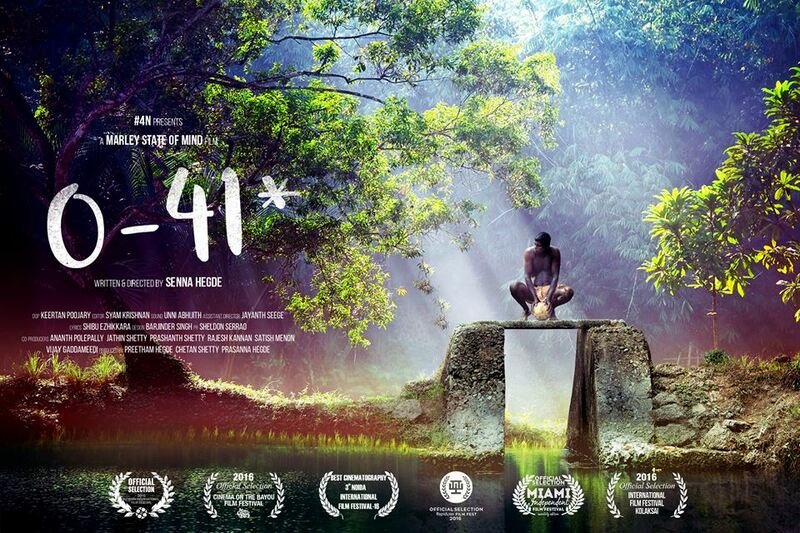 Written and directed by Senna Hegde,0-41* is a docu styled indie Malayalam film that has been the festival rounds for a while now. Based around the game of Volleyball 0-41* offers an in-depth and honest look at the rural way of life in India. Produced By: Preetham Hegde Chetan Shetty Prasanna Hegde, the music is by Senna Hegde and Unni Abhijith, while Keertan Poojary is the DOP and Syam Krishnan is the editor. Plot-A bunch of local youth in a small town in India are closely knit by a game of volleyball every evening. Rajesh and Vipin lead the two teams with a great deal of passion until a seemingly endless losing streak sets Rajesh and his team on a trail of disbelief and dejection. The film proceeds to draw a subtle parallel between the losing streak and the lives of these youth. Over the course of six days, this satire brings into sharp focus their life stories, their aspirations and expectations, their faith and fears and their view on the rest of the world with the rural way of life in the town of Kanhangad providing a vivid backdrop. This feature length experimental Malayalam film is a neorealist/documentary style with a troupe of first time actors who play their real life characters, blurring the boundaries between drama and reality.